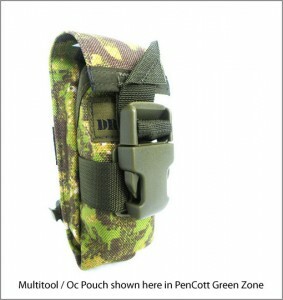 Canada’s Drop Zone Tactical continue to roll out good stuff in PenCott. 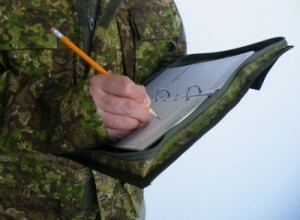 First they introduced their awesome 3rd Generation Ops Pants, Hybrid Shirt, their legendary Recce Smock and their door-kicker approved Assault Pack in our equally awesome and legendary “GreenZone” colourway. 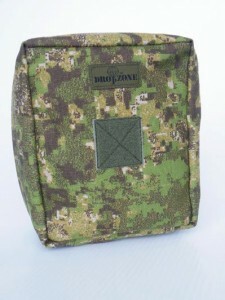 Now they’re expanding their line up of GreenZone gear. The Shriner Binder Cover is made to fit most small 3-ring binders and is rugged enough for field use. The Drop Zone Multi Tool/OC Gen 2 Pouch, is an expandable cylinder pouch with a tongue flap, sized for large multi-tools or 50 gm. OC aerosol canisters. The V765 (7 inches x 6.5 inches) Full Zip Utility Pouch is a large clam-shell, full zip-opening utility pouch that was spun off from a large individual first aid kit pouch. All of these products are made with our mil-spec 1000 Denier textured nylon that has a durable water resistant coating and a urethane backing for extra weather protection. For full details, and to order online, visit the Checkpoint Charlie Survival Supply website.